Discharge Injunction Revisited: Question: Is a Creditor’s Good Faith Defense Applicable? Answer: It Depends on Which Circuit the Case Was Filed in. We recently reported on the success of our client in obtaining the imposition of monetary damages against a creditor for its violation of the bankruptcy discharge injunction. Our local bankruptcy judge ruled in debtor’s favor, despite counsel’s alleged good faith belief that her actions to collect the discharged debt were without malice or in violation of the Bankruptcy Code. Depending on the nature of the debt, creditors may operate under an incorrect presumption that their debt has not been discharged under the provisions of 11 U.S.C. 523 and undertake steps to collect their debt without first seeking a declaratory ruling from the court. Such was the case in a recent First Circuit decision, found here, where the court ruled the Internal Revenue Service (“IRS”) violated the discharge injunction when its employee took deliberate steps to collect on a debt, even though it had an alleged good faith belief the debt was not discharged and the collection actions of the IRS employee did not violate the discharge injunction. In the case of Internal Revenue Service v. William Charles Murphy, the IRS operated under the assumption that debtor’s tax debt was not deemed discharged under 11 U.S.C. 523(a)(1)(C) because debtor was alleged to have willfully evaded payment of the taxes. Rather than take affirmative steps to first seek a ruling from the bankruptcy court to declare the debt non-dischargeable, the IRS proceeded to levy against monies owed debtor to satisfy the debt. Debtor moved for, and was granted, summary judgment and the debt was deemed discharged. Debtor then filed a complaint against the IRS seeking sanctions for the willful violation of the discharge injunction pursuant to 26 U.S.C. 7433(e). The Bankruptcy Court ruled in debtor’s favor. This provision (26 U.S.C. §7433 (e)), allows a taxpayer to recover damages if the IRS, in connection with collection of taxes, willfully violates the automatic stay under 11 U.S.C. §§362 or 524. On appeal, the First Circuit affirmed and concluded that Congress intended to give the same meaning to violations of the discharge injunction, in part because “the plain language of Section 7433(e) does not distinguish between” violations of the automatic stay and discharge. This decision is diametrically opposed to a recent Ninth Circuit decision issued only weeks apart, found here, where the court permitted the creditor to assert a good faith defense that its collection attempts were not a willful stay violation. The Ninth Circuit ruled that when a creditor attempts to collect from a debtor after issuance of the discharge, the creditor is not liable for civil contempt penalties or sanctions if the creditor held a subjective, good faith belief that its actions did not violate the debtor’s discharge injunction. However, the Ninth Circuit also found debtor’s actions fell within an exception to the rule prohibiting debt collection after discharge: when a debtor voluntarily “re-enters the fray” of an ongoing litigation that began before the debtor filed bankruptcy. In Lorenzen v. Taggart, after filing for bankruptcy, debtor participated in continued litigation. Upon conclusion of the lawsuit, the court entered an award of attorney fees in favor of plaintiffs against debtor-defendant. Debtor re-opened his Chapter 7 case to seek civil contempt penalties against plaintiffs for seeking to recover attorney fees from debtor after the bankruptcy discharge. In response, plaintiffs argued they truly held a good faith belief the discharge injunction did not apply to their award of attorney fees against debtor because debtor had participated in the litigation after entry of the discharge. The Ninth Circuit in Taggart held that a creditor’s subjective, good faith belief that its post-discharge collection efforts did not violate the discharge injunction precludes holding creditor in contempt or sanctioning creditor with penalties, even if creditor’s good faith belief was objectively unreasonable. The decisions of the First Circuit and the Ninth Circuit are very much at odds and present a split between the circuits. The First Circuit does not permit a good faith defense to discharge violations, while the Ninth Circuit does. If either of these rulings are appealed to the United States Supreme Court, it could pave the way for a consistent ruling as to whether a creditor’s good faith belief that a debt has not been discharged remains a viable defense to a creditor’s violation of the discharge injunction. We will continue to monitor this issue. 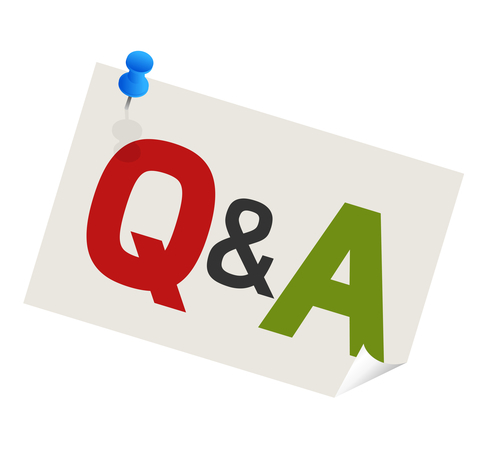 In the interim, should you, your colleagues, or clients have any questions, please reach out to any member of our team. 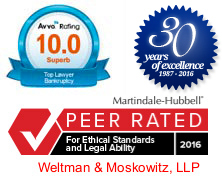 Founded in 1987, Weltman & Moskowitz, LLP is a highly regarded business law firm concentrating on creditors’ rights, bankruptcy, foreclosure, and business litigation. Michael L. Moskowitz, a partner with the firm, focuses his practice on business and bankruptcy litigation, as well as creditors' rights, foreclosure, adversary proceeding litigation, corporate counseling, M&A, and transactional matters. Michael can be reached at (212) 684-7800, (201) 794-7500 or mlm@weltmosk.com. Michele Jaspan is an associate of the firm. Michele can be reached at mkj@weltmosk.com.